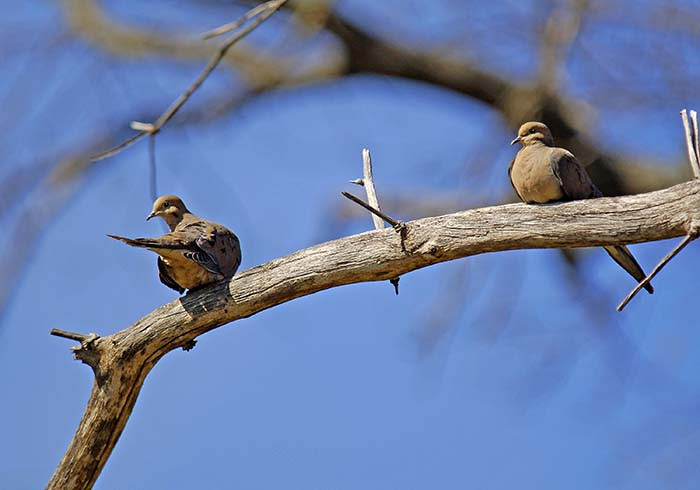 Mourning Doves pair on a leafless branch in West Virginia. 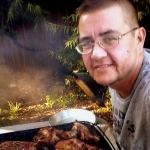 Photo courtesy W.Va. Dept. of Commerce. West Virginia’s 2018-2019 hunting season dates and bag limits for sora, woodcock, mourning dove, common snipe, and Virginia rails have been set by the W.Va. Division of Natural Resources. These seasons are set within the annual guidelines established by the U.S. Fish and Wildlife Service, according to a press release issued by Mike Peters of the division’s wildlife resources section. The dove season will be split into three segments. The first runs from Sept. 1 to Oct. 13. Shooting hours on Sept. 1 are noon to sunset. For the remainder of the season, shooting hours are one-half hour before sunrise to sunset. The daily bag limit is 15 birds. The woodcock season will be split into two segments. Both the rail and snipe seasons are a single segment. Shooting hours for snipe, rails, and woodcock are one-half hour before sunrise to sunset. All licensed migratory bird hunters, including lifetime license holders and senior citizens, must have a valid Migratory Bird Harvest Information Program registration card, available online HIP cards are available online and at license agents. For more information, consult West Virginia’s 2018-2019 Migratory Bird Hunting Regulations brochure, available online at www.wvdnr.gov, at license agents and at division offices.